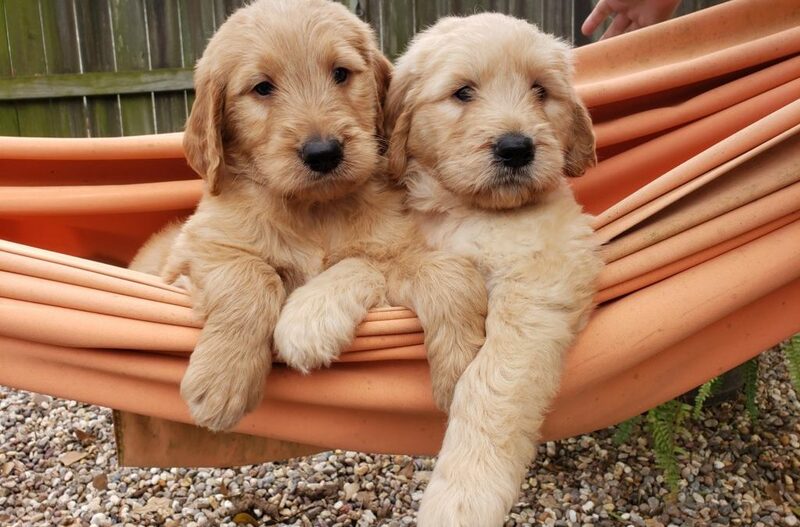 If you are looking to add a goldendoodle puppy to your family this year, our next Goldendoodle litters should be coming later this summer. The mother is a English Golden Retriever and dad is a red standard poodle. Both have excellent temperaments. We expect their pups to be apricot/cream, shaggy style Goldendoodle pups (like the ones in the picture below). We’re not sure about the timing and details yet on the second litter but it will be a bit latr in the year. The mom will either be a red retriever or goldendoodle, and dad will be our red standard poodle. We are still deciding. These puppies will be red/apricots with coats that range from curlier to the shaggy type. If you would like to go on our list, we are taking deposits now. Contact me at laurieclaire@gmail.com or click here for more information.